﻿ ﻿﻿﻿ What is biodiesel? Biodiesel is a clean burning alternative fuel, produced from a variety of renewable oil-bearing sources such as vegetable oils and animal fats. It has properties very similar to petroleum diesel, but with several advantages. Technically, biodiesel is defined as mono-alkyl esters of long chain fatty acids derived from vegetable oils or animal fats which conform to ASTM D6751 specifications (EN 14214 in Europe) for use in diesel engines. Biodiesel can be used in its pure form (B100) or blended with petroleum diesel in different percentages. Biodiesel molecules are simple hydrocarbon chains, containing no sulfur, ring molecules or aromatics associated with fossil fuels. Biodiesel is made up of almost 10% oxygen, making it a naturally "oxygenated" fuel. This improves combustion and reduces tailpipe odors. Biodiesel has widespread usage application in agricultural machinery, generators, ships, heating and lighting equipment and more. How long has biodiesel been around? The idea of using vegetable oil for fuel has been around as long as the diesel engine. Rudolph Diesel, the inventor of the engine that bears his name, experimented with fuels ranging from powdered coal to peanut oil. In the early 20th century, however, diesel engines were adapted to burn petroleum distillate, which was cheap and plentiful. In the late 20th century, however, the cost of petroleum distillate rose, and by the late 1970s there was renewed interest in biodiesel. Commercial production of biodiesel in the United States began in the 1990s. There is an insatiable demand for energy – in particular liquid energy for transportation – for which fossil fuels account for 98% of all consumption. Liquid fuel that ‘package energy’ and can be transported with the vehicle, be it a train, truck, tractor, ship or airplane – is the hardest thing to find an alternative to fossil fuel for. Liquid fuel is not a luxury – it’s a necessity. Biodiesel is the cleanest, most energy-efficient and fastest- growing alternative liquid fuel worldwide. Biodiesel has grown tenfold in the last decade. It now accounts for one third of all biofuels worldwide and is the dominant biofuel in the large developing economies of Asia, Oceania, Latin America and Africa. Transportation accounts for approximately 30% of global carbon emissions and because of over- dependency on fossil fuels it’s increasing every year. Biodiesel substantially lowers carbon emissions, plus it has a host of other natural properties that make it an excellent alternative to petroleum diesel. How is biodiesel different from petroleum diesel? Biodiesel is manufactured from renewable feedstock, which is animal or vegetable based, via a catalytic reaction known as transesterification. Petroleum diesel is a complex mixture of hydrocarbon molecules derived from petroleum crude oil extracted from natural sources that has taken millions of years to form and of which there is a limited and diminishing supply. Biodiesel contains no petroleum, but it can be blended at any level with petroleum diesel to create a Biodiesel blend. It can be used directly in compression-ignition (diesel) engines with little or no modifications. What are the main benefits of biodiesel? Ozone reduction and hydrocarbons - biodiesel produces 50% less ozone-producing hydrocarbons than fossil diesel fuel. The exhaust emissions of total hydrocarbons (a contributing factor in the localized formation of smog and ozone) are on average 67 percent lower for biodiesel than petroleum diesel fuel. Sulfur – sulfur emissions are essentially eliminated with biodiesel, as it contains no sulfates. Fossil or petroleum diesel contains harmful sulfates and produces exhaust emissions containing sulfur oxides and sulfates (major components of acid rain). Biodiesel produces no harmful sulfur emissions. Particulate Matter - exhaust emissions of particulate matter from biodiesel are 47 percent lower than overall particulate matter emissions from petroleum diesel. Carbon Monoxide - exhaust emissions of carbon monoxide from biodiesel are on average 48 percent lower than carbon monoxide emissions from fossil diesel. Biodiesel is the first and only alternative fuel to have a complete evaluation of emission results and potential health effects submitted to the U.S. Environmental Protection Agency (EPA) under the Clean Air Act Section 211(b). These programs include the most stringent emissions testing protocols ever required by EPA for certification of fuels or fuel additives. The data gathered complete the most thorough inventory of the environmental and human health effects attributes that current technology will allow. EPA has surveyed the large body of biodiesel emissions studies and averaged the Health Effects testing results with other major studies. The results are seen in the table below. Biodiesel reduces the health risks associated with petroleum diesel. Biodiesel emissions show decreased levels of polycyclic aromatic hydrocarbons (PAH) and nitrated polycyclic aromatic hydrocarbons (nPAH), which have been identified as potential cancer causing compounds. In Health Effects testing, PAH compounds were reduced by 75 to 85 percent. Targeted nPAH compounds were also reduced dramatically with biodiesel, with 2-nitrofluorene and 1- nitropyrene reduced by 90 percent, and the rest of the nPAH compounds reduced to only trace levels. The NBB emphasizes that — despite lingering confusion to the contrary — biodiesel is "not an experimental fuel." Rather, the group notes that biodiesel "has been proven to perform similarly to diesel in more than 50 million successful road miles in virtually all types of diesel engines, countless off-road miles and marine hours." And today, in the U.S. alone, more than 600 major fleets (ranging from school buses and commercial vehicles to government and military fleets) now use diesel blends that incorporate the cleaner-burning fuel. Through all of this experience, B20 has demonstrated similar fuel consumption, horsepower, torque, and haulage rates as conventional diesel fuel. Biodiesel is primarily made from vegetable oil crops such as soybean, canola, palm oil, corn, sunflower, jatropha, pongamia, camelina, coconut, or from waste vegetable oil made from these oils. As such biodiesel is 100% sustainable and renewable by growing and harvesting these oil crops to meet supply and demand. Agronomy and crop development is producing increasingly higher yields from plant material and more efficient farming practices. Biodiesel is a natural, renewable and sustainable alternative to fossil diesel for use in diesel engines. Diesel engines are the most efficient combustion engines because they ‘auto-ignite’ under compression and heat (as opposed to gasoline engines that need a controlled spark to ignite a fuel mixture). A greater proportion of the primary energy contained in the fuel is converted into energy in diesel engines than with gasoline engines -and significantly more than electric, where as much as 40% of the prime energy is lost in conversion to electricity. One of the most important characteristics of diesel fuel is its ability to auto-ignite, a characteristic that is quantified by a fuel’s cetane number or cetane index, where a higher cetane number or index means that the fuel ignites more quickly. Biodiesel typically has a higher cetane rating than fossil diesel. Biodiesel from soybean has a cetane rating at the top end of the 45-57 range whereas petro diesel is more commonly at the low end of a 40-52 range. Higher cetane ratings mean easier cold starts and lower idling noise. One of the significant benefits of biodiesel is its natural lubricity. Lubricity is important to reduce friction in moving engine components such as pistons in combustion chambers, and parts that rely on the fuel for lubrication such as fuel injectors and filters. Sulfur has traditionally been used as a ‘lubricant’ in petroleum diesel, but has substantial negatives as it increases harmful sulfur emissions. Governments would like to eliminate sulfur completely from fuel for this reason. This has resulted in ultra-low sulfur fuel derivatives that are expensive to produce and still substantially less effective than biodiesel. Biodiesel has better lubricity than low-sulfur petroleum diesel, which contains 500 parts per million (ppm) sulfur by weight and substantially superior to ultra-low-sulfur petroleum diesel (15 ppm sulfur by weight). A one to two percent volumetric blend of biodiesel in low-sulfur petroleum diesel improves lubricity substantially. 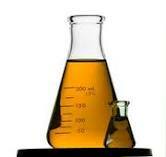 Biodiesel has natural solvent properties. It actively cleans carbon deposits and gunk accumulated in engines running on fossil diesel leaving a cleaner, more efficient engine that has a longer lifespan. In the early days of biodiesel usage in the 1970’s and 80’s these solvent properties caused problems in vehicles with rubber seals and hoses as the powerful cleansing property of biodiesel eroded rubber over time. Nowadays all modern engines use Viton seals that are perfectly safe for biodiesel. Because biodiesel is still not a mainstream fuel, some of these misperceptions still persist. With proper communication and education in advance, new biodiesel users understand that clogging after first usage is commonplace – biodiesel is doing what it is good at and cleaning up carbon residues built up over years of use. All it takes is a change of filters after first usage and your engine will run cleaner and smoother than ever before. One of the major advantages is the fact that biodiesel can be used in existing diesel engines and fuel injection equipment without the need for modification or expensive conversions - and with no negative impact on operating performance. Biodiesel is non-toxic and biodegradable. Biodiesel is made from organic plant materials the same as fossil diesel (that’s why the properties are so similar). The difference is biodiesel is made from living plants that capture carbon from the atmosphere and produce oxygen in a continuous balanced cycle. Any emissions produced by biodiesel from living plants have been ‘paid for’ by the oxygen given back and the carbon captured by those plants. Fossil fuels that have been trapped under the earth for millions of years release captured, or stored carbon that cannot be compensated for by the plants that once produced them – it’s a one-way emission of carbon into the atmosphere. Although biodiesel has approximately 5-6% lower energy content than petroleum diesel the higher oxygen content and cetane number typically results in comparable performance; any trade-offs in power, fuel economy and torque are negligible. Biodiesel is the only alternative fuel that can boast of production facilities with effectively zero emissions. The efficient production conversion of oils into biodiesel (a 5:1 energy efficiency ratio) corresponds to an 80% GHG reduction according to Biodiesel. Biodiesel has the highest energy balance of any liquid fuel currently produced. For instance, for every unit of energy used to make biodiesel, 3.24 units are gained, according to the U.S Dept. of Energy. According to Don Scott, Director of Sustainability at the National Biodiesel Board, biodiesel is the most efficient diesel substitute available. Biodiesel recycles carbon. It stores net energy from the sun with a renewable energy ratio of 5:1 that corresponds to an 80% reduction in GHG (greenhouse gas). What are the advantages of biodiesel over petroleum diesel? Are there any downsides to biodiesel? Apart from the marginal lower fuel economy and power output mentioned (around 2% for B20), biodiesel has slightly inferior cold temperature properties to fossil diesel in high concentrations such as B50 or B100. It has a lower cloud point (the point at which the fuel begins to ‘cloud’ or form wax crystals and becomes more viscous). Biodiesel has a freezing point about 7ºC higher than fossil diesel – in very low temperature climates even fossil diesel has to be kept warm to remain fluid. With low blend percentages such as B5 the low temperature performance of biodiesel is almost identical to fossil diesel. B50-B100 is generally not suitable for use in low temperatures. Because of its solvent and cleansing properties, biodiesel is more susceptible to water contamination than petroleum diesel if stored for long periods of time, but commonsense and low cost techniques can be employed to prevent this. Because biodiesel contains oxygen molecules, NOx emissions are slightly higher than with fossil diesel. However, biodiesel’s lack of sulfur allows the use of NOx control technologies that cannot be used with conventional diesel. NOx emissions can also be controlled by minor adjustments to the engine carburation to retard oxygen levels in the combustion process. Additionally, there are additives to reduce Nox emissions in biodiesel blends. There are well-publicized concerns about biodiesel production competing with food crops and raising food prices in a ‘food vs fuel’ debate. The real issue is not food vs fuel but food and fuel. As the UN states, the world produces enough food to feed itself, the problem is inequitable distribution of it (like wealth). It’s estimated as much as 40% of food produced is wasted because of inefficient distribution – it simply never gets to market – or through wasteful usage. There is enough farmable land to allow us to grow more energy crops, and improved farming methods such as inter-cropping can make feedstock for biodiesel production more widely available at lower cost helping lower the cost of food products. It is also possible to grow non-food crops for biodiesel production on low-grade soil and on non-cropable land that provides a renewable energy source without competing with food crops. Professor Robert Henry of the University of Queensland, an authority in the food vs fuel biofuels debate, suggests that at least 40% of the cost of food is directly attributable to fossil fuel costs in sowing, harvesting and transportation - he advocates planting more energy feedstock for consumption close to the point of harvesting, reducing cost and impact on the carbon footprint. Is all biodiesel the same? Because biodiesel can be made from a number of different raw materials and with a number of different processes, there can be some subtle variations in chemical and physical properties. Various international bodies such as ASTM have established standards for testing diesel fuels to ensure some uniformity in performance. In most applications, if the biodiesel conforms to specified standards it can be used in the same equipment as other diesel fuels. What are biodiesel blends and how are they used? Biodiesel can be used as a pure fuel or blended with petroleum in any percentage. Blends of biodiesel and petroleum diesel are designated with the letter “B,” followed by the volumetric percentage of biodiesel in the blend: B20, the blend most often evaluated, contains 20 percent biodiesel and 80 percent petroleum diesel; B100 is pure biodiesel. Common blends include B2 (2% Biodiesel, 98% petroleum diesel), B5, and B20. B2 and B5 can be used safely in most diesel engines. B20 has demonstrated significant environmental benefits. Many vehicles operate well on higher biodiesel blends, however the automotive industry is still developing to keep pace with biodiesel development and higher blends may void some engine warranties. Governments are increasingly setting biodiesel blend mandates – a minimum percentage of biodiesel required in fossil diesel – in order to meet renewable fuel and carbon emission reduction standards. These range from B2 (a 2% blend mandate) to as high as B20 in countries like Colombia, although B5-B10 is becoming the standard target range. Will biodiesel totally replace diesel someday? There are no global mandates or specific measures at this point to make biodiesel a requirement, however, many governments are actively encouraging the use of biodiesel blends and have issued mandates of their own. In most instances, producers are struggling to meet the demands of these mandates. Examples of biodiesel blend mandates in force include; Columbia 20% by 2014, Germany 12% 2017, Australia 5% 2014, India 5% 2014, Canada 2% 2013. There is growing pressure around the world for countries to conform to a minimum biodiesel blend mandate. At the moment, the pioneer work is being done by those governments with 'green mandates' from their electorate typically exacerbated by economic risk from the high cost of domestic fossil oil imports. Because it is a cleaner burning, renewable fuel source, availability and usage will continue to increase. How big is the biodiesel market worldwide? The global biodiesel market is estimated at 25 billion liters and is expected to double in size to $45 billion liters by 2020. What impact does low oil price have on biodiesel? Higher oil prices and supply constraints encourage people to find alternatives, such as biofuels. When the reverse happens, the pressure to search for alternatives is reduced. Although vegetable oil prices are correlated with oil prices, it becomes more challenging to make any form of alternative energy economically viable when oil prices are low. Cheap oil at the pumps encourages more wasteful consumption - bigger, fuel-thirsty engines, more vehicles on the road and higher mileage all result in even more carbon pollution. Increased consumption balances the demand-supply dynamic over time resulting in price stabilization. Because biodiesel is currently used in such small volumes relative to fossil diesel (less than a fraction of 1% by volume worldwide), it is more realistic to position biodiesel as an additive with performance-enhancing and pollution-reducing benefits, than a replacement for diesel. Where biodiesel is marketed through cooperatives it typically commands a premium price over fossil diesel for a small group of committed biodiesel users. As such, biodiesel is likely to be more resistant to lower oil prices than ethanol is for gasoline. Additionally, diesel prices have proven to be more resilient than gasoline prices in North America, making biodiesel more resilient too. The lower cost of petroleum fuels makes it more difficult for biodiesel production to be economically viable, whilst, ironically, making the importance of it even greater as wasteful and polluting consumption of fossil fuels is ‘encouraged’. The volatility in energy pricing highlights the need for alternative energy solutions. Greater energy security and independence, is becoming ever more important, especially for oil importing countries. Can biodiesel save the world? Not on its own – but it’s a significant step in the right direction. Biodiesel is made from renewable and sustainable resources that reduce the pressure on dwindling mineral oil supplies. Using biodiesel is a practical way that people and businesses can reduce their carbon footprint - the amount of carbon dioxide emitted as a result of energy used. It's also biodegradable and can be used for environmentally sensitive applications such as forestry and on waterways. The environmental impact of increased fossil fuel consumption on global warming cannot be underestimated. As a species we appear to be woefully negligent in the management of pollution and the potentially irreversible impact it has on our planet. The Copenhagen agreement in 1996 to limit temperature increase to 35.6ºF is at the bottom end of scientist’s minimum requirements to sustain ‘civilized life’ as we know it. Last year alone carbon emissions increased 2.6%. Governments spent over 1 trillion dollars last year subsidizing fossil fuels, coal, oil and gas – four times the amount they spent on renewables. Carbon-emitting fossil fuels such as oil, natural gas and coal account for 97% of primary energy consumption in the world. Despite the hype, all renewables combined still account for less than 3%. Increasing public concern over greenhouse gas emissions and global warming is putting pressure on governments to start acting to reduce greenhouse gas (GHG) emissions. Demand for and production of biodiesel had been on the rise, as people seek cleaner-burning alternatives to traditional petroleum-derived transportation fuels. Who are the biggest producers and consumers of biodiesel? Germany, USA, France, Argentina and Brazil account for 68% of the world’s biodiesel production…and Asia Pacific only 4 % in total. Biodiesel processing is dominated by large centralized refineries in Europe (led by Germany) and North America. Processing capability is unevenly distributed across the world - Asia accounts for over 60% of the world’s population, yet less than 10% of the world’s biofuel production – there is enormous opportunity for the growth of distributed processing in developing nations of Asia, the Pacific, Latin America and Africa. Per capita consumption for energy…particularly liquid fuel energy for transportation is growing fastest in the developing countries of Asia and Africa. The prime geography for oil-rich energy crops is between the tropics…this region includes 28 of the world’s poorest nations…that in turn correlate with also being the highest net importers of fossil fuel. How is most biodiesel produced today? Large centralized refineries that cost hundreds of millions of dollars and take years to construct, process the vast majority of biodiesel today. These large biodiesel refiners are controlled by government policy through subsidies, blend mandates, production quotas and off-take agreements with the large, often nationalized oil companies. Many of these large refinery projects are over-built and under-utilized, operating at 30% capacity or less. Of the mini-refineries that exist, most cost between US$2-10 million and are permanent fixtures subject to feedstock pricing pressures from nearby growers once completed. Despite biodiesel being one of the safest, cleanest, most efficient alternatives to fossil fuel and relatively easy to produce the independent production of biodiesel worldwide is negligible. Who is biodiesel for and who is using it currently? Biodiesel is suitable for anybody with a diesel engine who values a renewable, environmentally-friendly fuel with little or no trade-off in performance or cost. Many industries use biodiesel because it is an easy way to reduce their carbon footprint. As biodiesel has lubrication properties that are superior to petroleum diesel, some industries use biodiesel to extend engine life. Since biodiesel emissions are cleaner and contain fewer particulates, biodiesel is a better choice in areas where air quality is important like cities, schools and construction sites. Industries using biodiesel include: agricultural equipment users, delivery companies, excavation and mining companies, school and municipal transportation, railway and road freight, construction, and marine transportation and freight. If you would like a copy of this document, please click the link below. Biofuels are a leading source of renewable energy, particularly as transportation fuels that would replace oil-derived gasoline and diesel. But when you think about it, oil deposits are derived from biomass that has decomposed and been compressed underneath the surface of the earth for millennia. Given that the origin of petroleum is biological, why isn’t oil considered a biofuel? What is the distinction between petroleum and, for example, ethanol or biodiesel? And just what exactly is a biofuel anyway? These are fair questions worth answering, and I will try to provide some answers here. First of all, biofuels are essentially defined as being derived from recently dead biomass, as opposed to long dead biomass that gives rise to petroleum. This distinction is not an arbitrary one. In fact, there is sound reasoning behind making a distinction between plants that were harvested ( and thus made “dead” a few months ago) and biomass that “died” millions of years ago. One of the main purposes of replacing oil-derived fuels and products with bio-based fuels and chemicals is to reduce the net carbon emissions. (Having an alternate fuels source that would keep a lid on the cost of oil supplied by an unfriendly, price-fixing cartel would be another useful purpose of biofuels.) In the case of biofuels produced from sugar cane, corn or plant waste, the biomass replacement occurs in less than a year as a new crop comes in. The new biomass is roughly equivalent to the carbon emitted when that biofuel is burned. Thus, the net carbon emission is near zero from that cycle, and that carbon cycle is complete within a year. Contrast the situation with corn or sugar-derived biofuels with that of oil. The production of the petroleum requires millions of years. Thus, the replacement cycle time for petroleum that is burned is thousands of millennia rather than the length of a single crop cycle. In other words, it will require millions of years for the carbon emitted by burning oil to be reconstituted into petroleum for creating a second cycle of use as a fuel. It will only take a year or less for the carbon dioxide emitted from burning bio-ethanol to be reconstituted as sugar cane or corn for conversion into a new cycle of biofuel. Therefore, it is the difference in the length of the carbon cycle that creates the distinction between petroleum, which is derived from long-dead biomass, not being a biofuel while a similar combustible liquid (ethanol or bioduesel) produced from recently dead biomass is a biofuel. What does BioDiesel mean to America? Biodiesel is America's first advanced biofuel – a renewable, clean-burning diesel replacement that is reducing U.S. dependence on foreign petroleum, creating green jobs and improving our environment. Made from an increasingly diverse mix of resources such as agricultural oils, recycled cooking oil and animal fats, biodiesel meets the strict specifications of ASTM D6751. You should never fill your vehicle with clean or used vegetable oil the has NOT been converted to biodiesel. It will damage your engine and is unlawful.